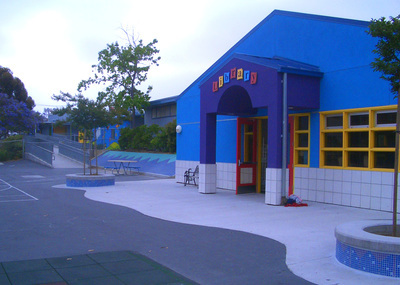 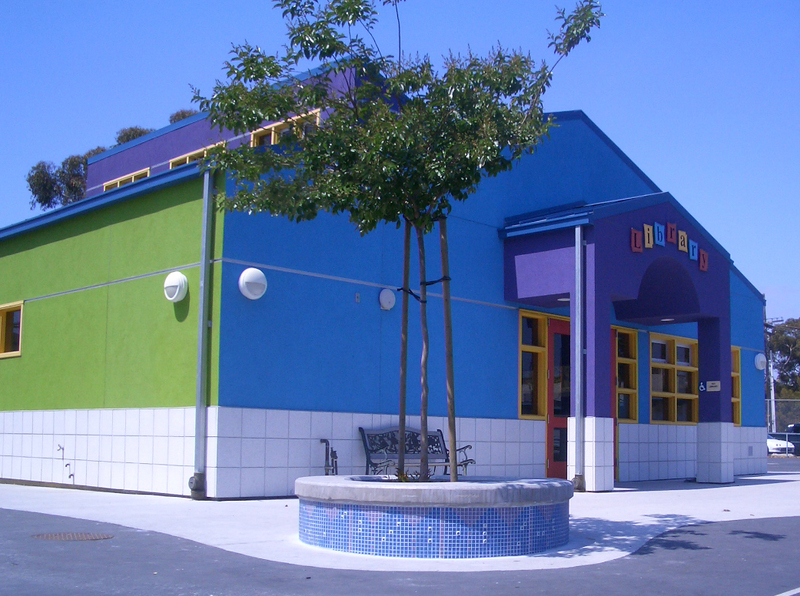 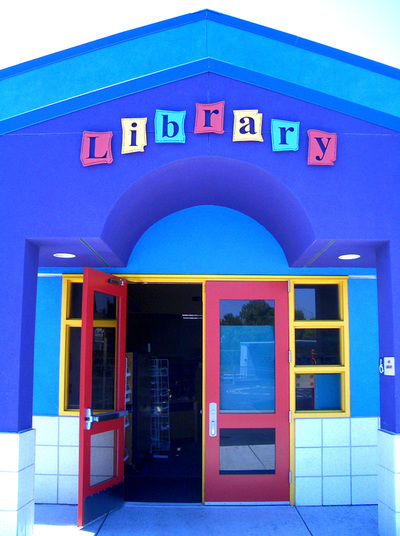 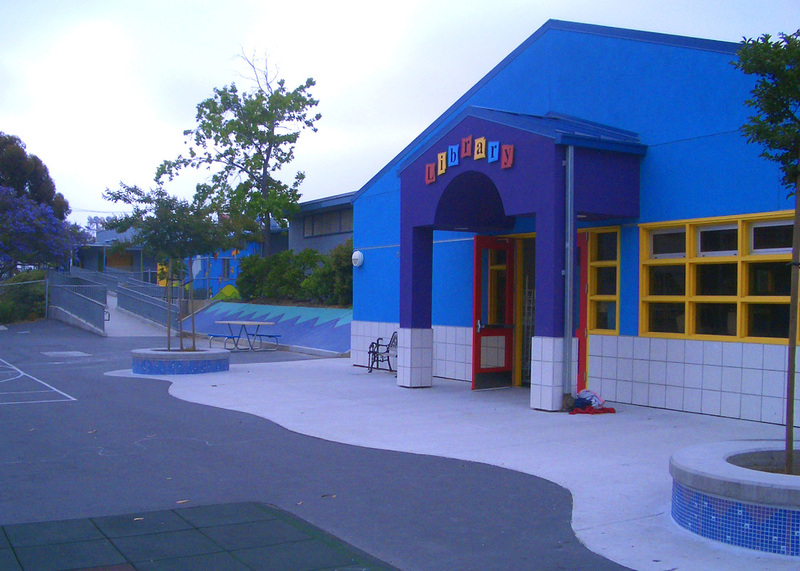 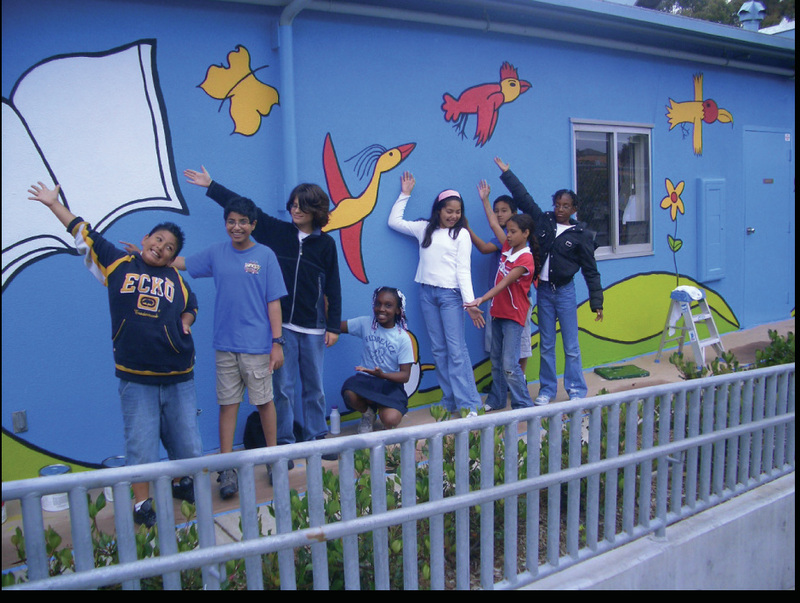 This multi-phase project began in 2003 as a collaboration with UCSD Education Studies Department and the San Diego City College Graphic Design Department. It seeks to create an environment that reflects the excitement that is being generated from within the school, while also making Florence more visible and attractive in its surrounding neighborhood. 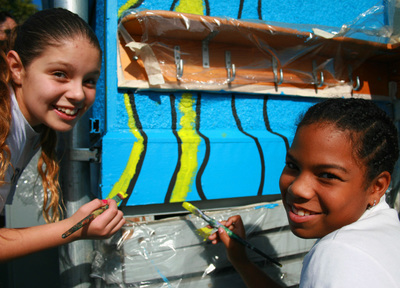 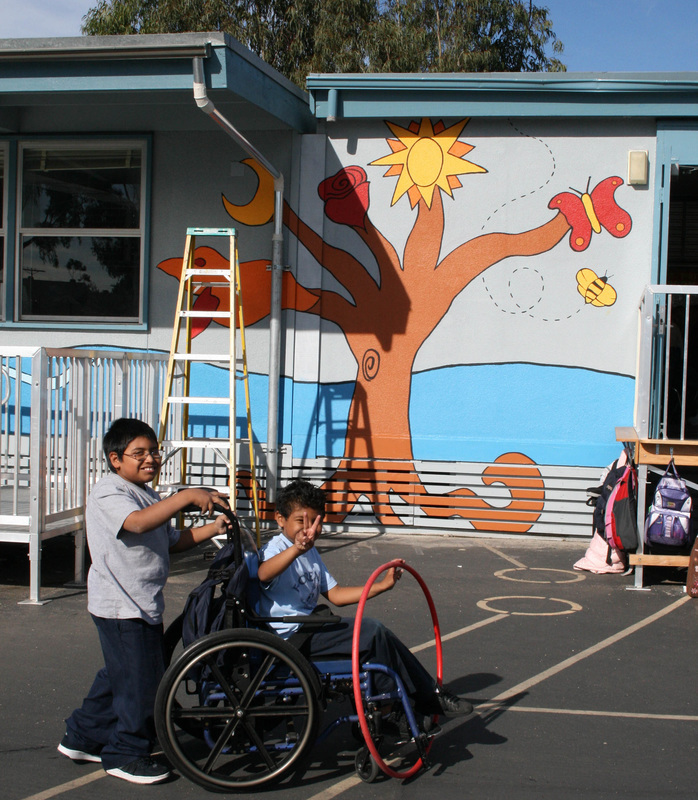 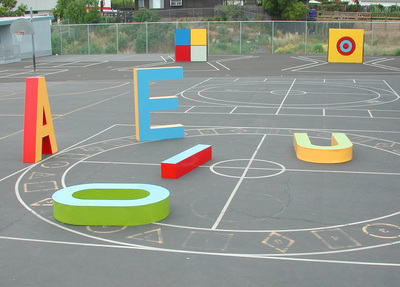 Students, faculty and staff participated in environmental art improvements, signage, murals, fencing and façade upgrades in a project combining Literacy and Art. 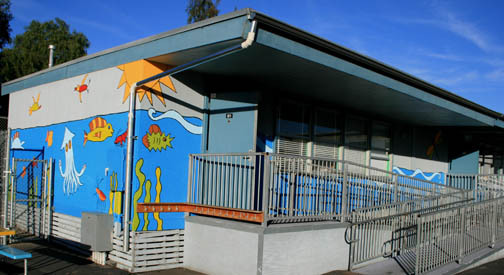 Lynn was a school district consultant for the new library façade and playground, creating murals, signage and tile mosaics with 5th grade students. See where this in on the Art Map.